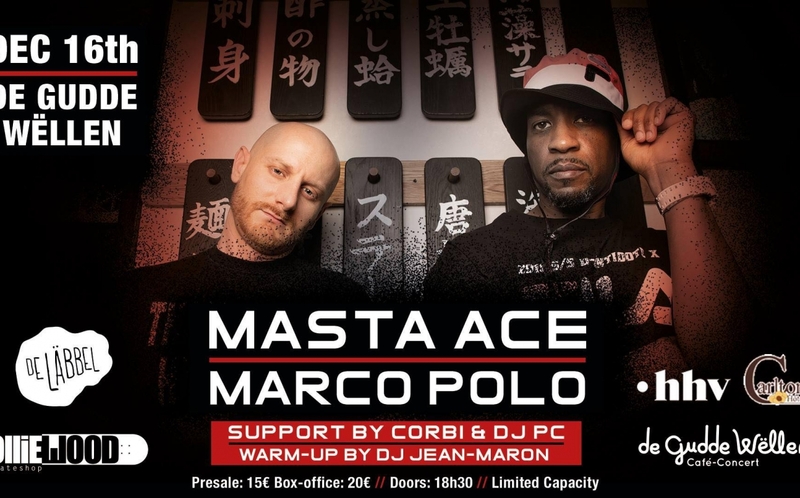 Let De Läbbel & HHV Records be your host for a very special and unique concert of MASTA ACE & MARCO POLO at our favorite place in town, De Gudde Wëllen. Definitely not to miss!! !